The state Department of Education denies requests from Warwick Public Schools to eliminate bus monitors and to charge students to ride school buses and participate in school sports. Boston Public Schools plans to consolidate numerous school bus routes this fall, which will result in the layoff of dozens of drivers. The move is expected to save the district up to $5 million. The Lafayette Parish School System plans to eliminate 23 routes after the school board votes to cut $1.75 million from the transportation budget. 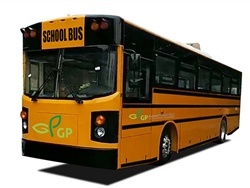 GreenPower Motor Co.’s Synapse 72 is approved by the California Air Resources Board for the Hybrid and Zero-Emission Truck and Bus Voucher Incentive Project for up to $110,000 for each one sold in the state. 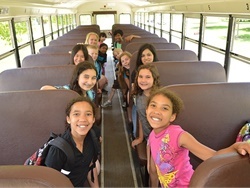 Can Wi-Fi Make the School Bus an Effective Extension of the Classroom? The onboard technology not only enables students to complete their homework during the ride, but can reportedly be considered an instructional expense. Additionally, the router can accommodate other technologies such as GPS and connectivity for the driver’s tablet. 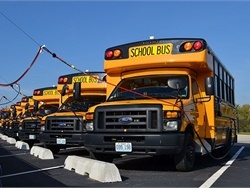 In an effort to reduce emissions, cut costs, and improve its fleet, Blue Springs School District has implemented a variety of changes, including a new CNG station, Wi-Fi on activity buses, and a stop-arm camera system. Hillsborough County students who live within 2 miles of their middle school or high school may no longer be eligible to ride the bus because of a lack of state funding for courtesy busing. 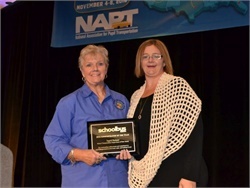 Whether it’s solving school bus challenges, confronting a state association crisis, or fighting cancer (twice), New Jersey’s Reitano has overcome many obstacles in her 40-plus years in pupil transportation. 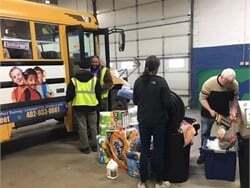 Johnston Community School District’s transportation system, currently owned and operated by the district, will be converted to Student Transportation of America. 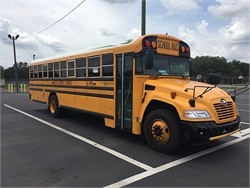 Since 2015, Pinellas, Polk, Pasco, and Hillsborough County school districts have added 170 new Blue Bird Vision Propane buses and have seen lower emissions and savings in fuel and maintenance costs. 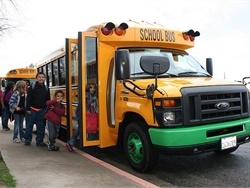 Can Electric School Buses Go the Distance? 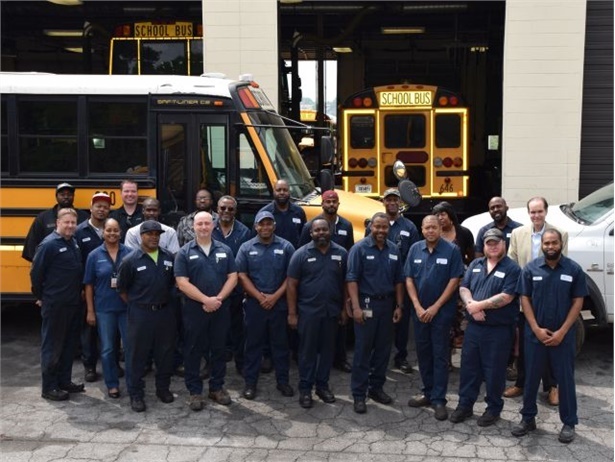 The technology is proven, and the buses offer cheaper operating costs as well as zero emissions. 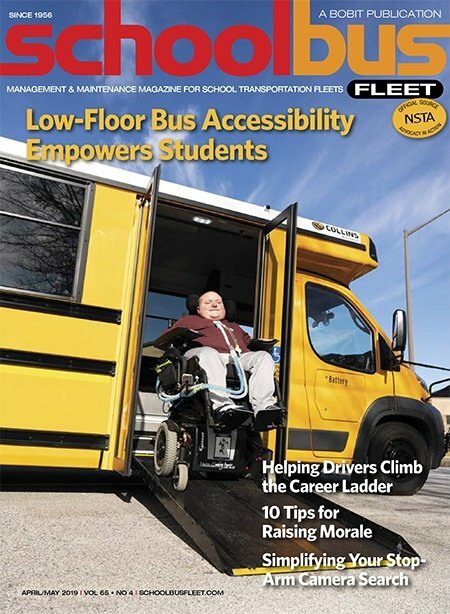 Still, with scarce funding in many states and extremely cold winter temperatures, will the vehicles gain traction in the school transportation market? The superintendent for Westport Public Schools is looking to save $125,000, and says that monitors are no longer necessary due to technology that improves bus safety. Parents and board members argue against the proposal, citing greater demands on school bus drivers and more distracted motorists. Omaha Public Schools is trying to simplify its busing system and cut costs by reducing the number of schools that students can apply to and still be eligible to ride the bus. 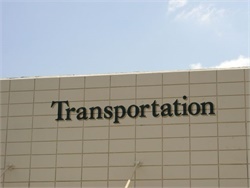 The district’s transportation costs are high compared with other urban Midwestern districts.